I believe that most residents of Boca Grande and the communities surrounding the Fishery were excited to read the news regarding the Fishery – “The most amazing development: Fishery property sold once again…”, Boca Beacon, May 4, 2018. Thank you and congratulations to the new owners, Boca Grande residents Cookie Potter- Feinberg and Jay Feinberg. This “amazing development” was a result of many ingredients. One, the surrounding community – voices from Boca Vista, Angler’s Club, Gasparilla Mobile Estates, The Landings at Coral Creek, Cape Haze, Boca Grande, and Placida Harbor – showed up at County board meetings, contacted commissioners with their concerns and provided financial support to Friends of Cape Haze in their legal challenge. 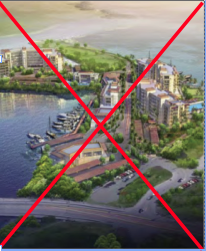 Two, people were prepared with cogent and defensible arguments that were sufficient to question the developer’s interpretation of Florida statutes and to deny the proposal. Thanks go to Friends of Cape Haze, who through their legal counsel Brad Kelsey, consultant Ellen Hardgrove, and Percy Angelo, prepared the legal and land-use arguments that carried the day. Thanks also the GICIA, Misty Nichols and their lawyer for their support and presentation of their well-founded objections. Finally, I would be remiss not to acknowledge the contributions of Percy Angelo, Marv Medintz (Friends of Cape Haze) and Besty Fitter and Jane Carver (Anglers Club). They organized the communities into a unified voice and participated in the research, development and presentation of written and oral arguments to the County.